Elegant pendant with stylish glass sphere. This low voltage pendant is designed to be clustered. 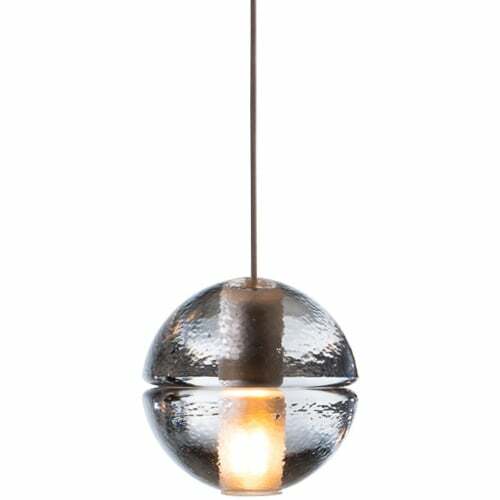 Each individual pendant is an articulated cast glass sphere with a frosted cylindrical void that houses either a 10 watt xenon or 1.8 watt LED lamp. Do you have a question about "14.1"? How can we contact you?